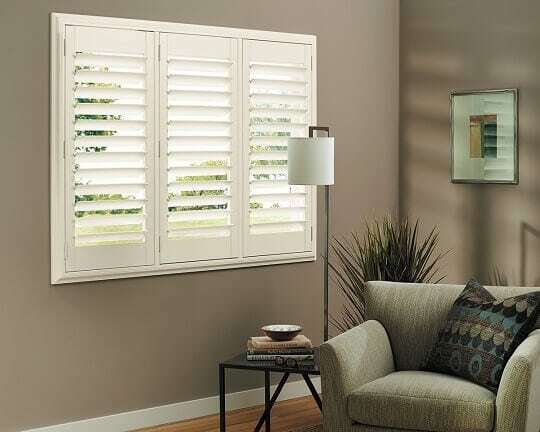 Hybrid plantation shutters- also known as composite or faux wood interior shutters- are made of engineered wood wrapped in a vinyl, PVC, or other custom coatings. 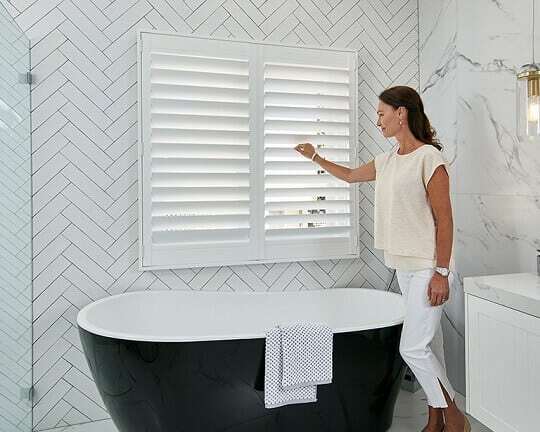 These materials are more durable and easier to maintain than traditional wooden shutters, giving you the gorgeous aesthetic of wood with the added benefit of practicality and durability, even in humid climates. 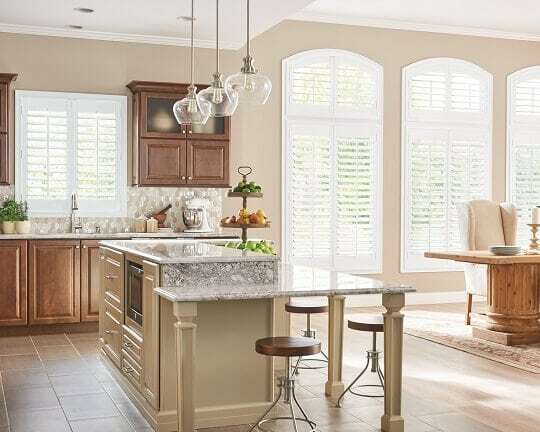 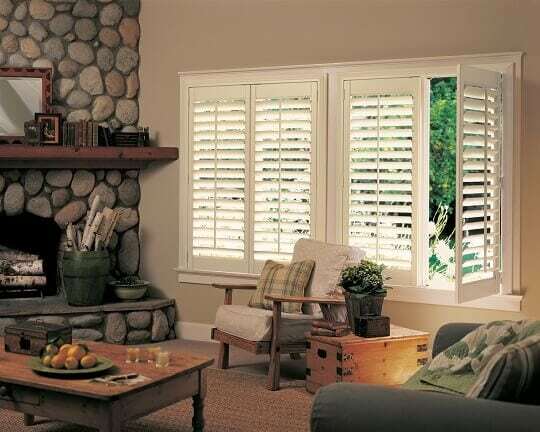 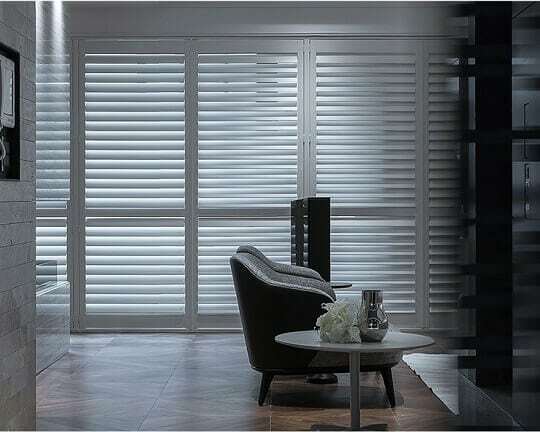 You can enjoy your hybrid shutters in any room despite heat or moisture, from bathrooms and kitchens, to high traffic areas, with no need to worry about water damage or warping. 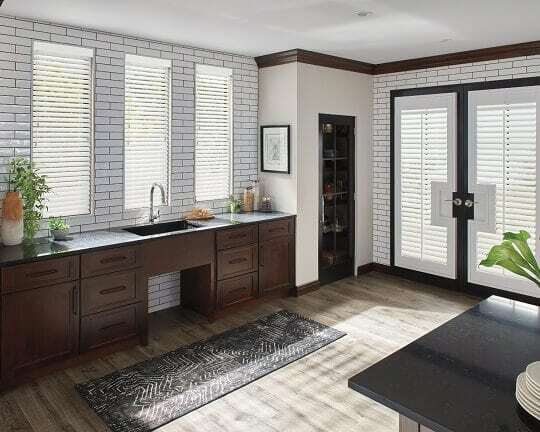 With hybrid plantation shutters you have the ability to achieve the classic hardwood look with the help of realistic finishes, giving an authentic pattern that mimics real wood down to the grain. 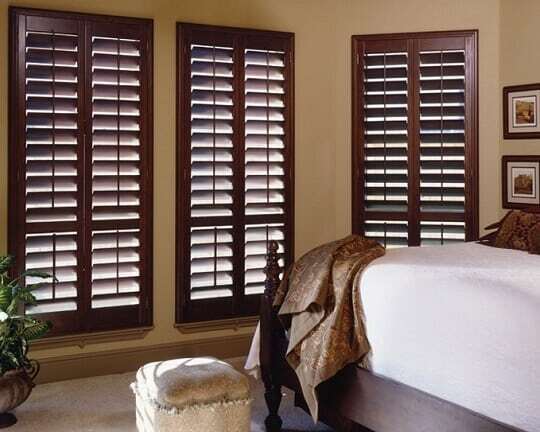 Custom stains can tailor your hybrid shutters to imitate genuine wooden hues such as Golden Oak, Warm Cherry, Amaretto, and Bahama Brown. 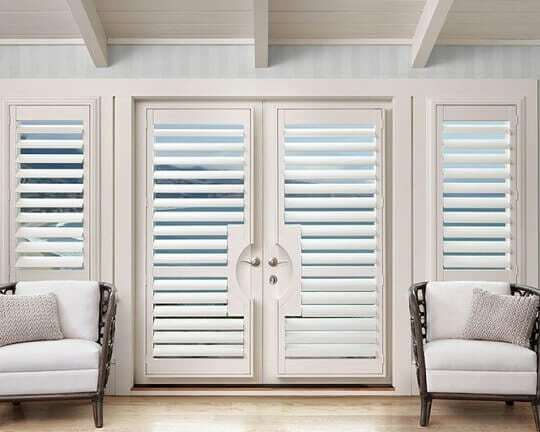 Great examples of high-end, durable hybrid shutters include Norman Woodlore Shutters and Hunter Douglas NewStyle Plantation Shutters. 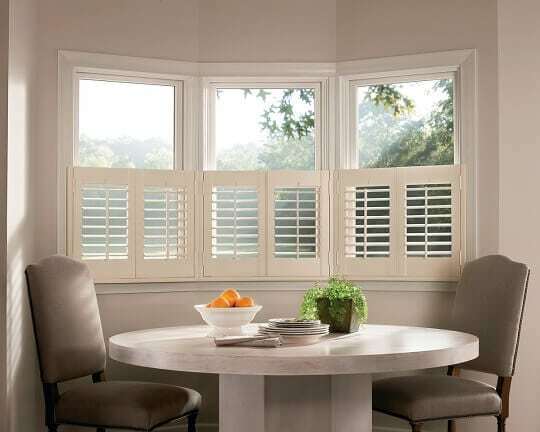 For more information on Hybrid Plantation Shutters, to learn more about the brands we carry, or to schedule your FREE on-site consultation, contact Shades By Design.